If you log into Google Merchant Center account and you see products on the “Products” page but no active feeds on the “Products > Feeds” page—or the count of submitted products is greater than the sum of the products in the active feed containers—then it is likely that the products are being submitted from a direct API connection to the Google Merchant Center. This is especially common with Shopify stores. 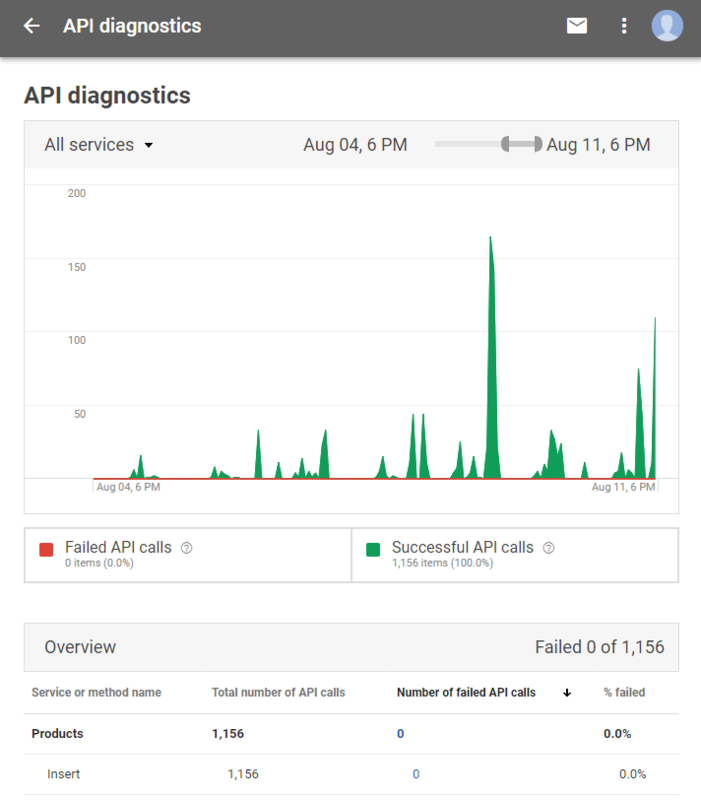 To confirm that an API connection is active, go to the three dots menu in the top right and select “API Diagnostics.” If you find a timeline of API calls like you see below, then you can confirm that products are being submitted by API. 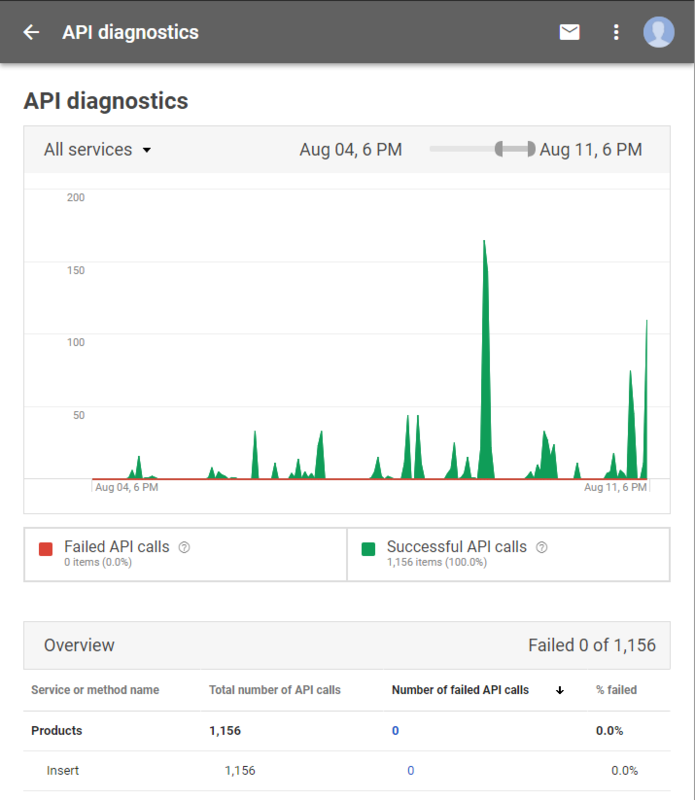 Note that the numbers reported are not the total number of products, but rather the number of total API calls, each of which may contain many products. When a client is providing their product via API, we cannot download a file with their product data to join into our feed for comparison. You will have to inspect individual products on the “Products > List” page to verify that your data matches the client’s data, if necessary. However, we can ensure that our feed’s product data overwrites the API-provided data, as long as the product IDs match. When submitting a feed to a Merchant Center account that has an active API connection, you should have your client disable that API to prevent the API-submitted product data from interfering with your product feed data. Asking the client to do this will make it so that we are not liable for any mistake we might otherwise make in deactivating an API connection. Deactivating a Shopify API connection. To deactivate a Shopify API connection to the Google Merchant Center, in order to prevent interference with the product data submitted by your feed, have the client follow these steps below. *If this setup doesn’t work, you may try clicking “Change Google Account” to disassociate the account, and simply not filling in any new account information.